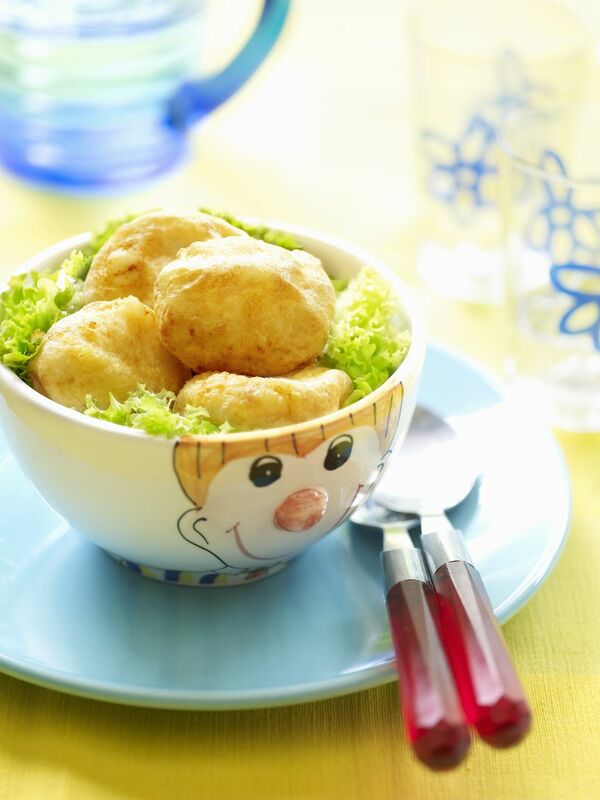 Potato Balls or Aloo Balls as they are known in Trinidad and Tobago and Guyana, is a savory mixture of mashed potatoes rolled into balls, battered and deep fried. It can be eaten by itself but it is often served with some kind of chutney (not the North American type of chutneys). I'm talking here about a freshly made chutney of tart fruits balanced with sugar and heat from peppers, such as green mango chutney. Potato Balls are a type of street food. They are also made on special occasions such as festivals like Diwali and Phagwah - both Hindu festivals celebrated in certain parts of the Caribbean. It's a great way to use up mashed potatoes. Wash, peel and cut potatoes into quarters. Cook potatoes in salted boiling water until fork tender. Drain well. Add potatoes to a large bowl along with pepper and cumin. Mash well, mixing the ingredients together. Taste for salt and adjust if necessary. Fold in green onions and cilantro (if using). With clean hands, take the mixture a little at a time and make into 3-inch balls. You can use an ice cream scoop for equal measurements. In a separate bowl, combine flour, baking powder, turmeric and a pinch of salt. Add enough water to make a thin crepe-like batter. Heat oil in deep frying pan until hot but not smoking. Dip balls into the batter one at a time, shake off the excess and add to oil. Repeat and fry in batches; however, be sure not to overcrowd the pan. Fry until golden lightly browned.